Just like Rose Jam I honestly wish you could just smell this product. It’s totally beyond and honestly takes me to a pretty amazing place every single time I use it! I find it has quite a nostalgic smell from a personal point of view and reminds me of something from when I was younger, but I can’t quite pin point what it is! If any of you feel the same about this product then let me know below. Anyway, moving onto what it actually does haha… Firstly, packaging wise it comes in the standard Black pots and the actual product looks like a delicious gooey piece of cookie dough! The ingredients include Maize flour, Glycerin, Talc, Water, Corn oil, Polenta, Fair Trade Organic Cinnamon Powder, Perfume, Gardenia and Popcorn. I think Popcorn is the winner in that line up and it’s actually included in the product! #YUM. If I could put its scent into words it would probably be a mixture of popcorn, vanilla and salted caramel! ( I honestly wish it was edible) It’s described as an exfoliating cleanser and I try to use it around two times a week and each time I use it my skin feels like a million dollars. I tend to take a chunk and run a little water over it to make it into a more workable paste, which works wonders for me! It does have quite a grainy texture once you start buffing it into the skin, but it really does soften and lift the appearance of tired skin, which is why I love it so much. The glycerin helps to keep the skin from feeling dry once the product has been washed off and even though it is quite scrubby its not going to make your skin feel irritated or uncomfortable after using it. 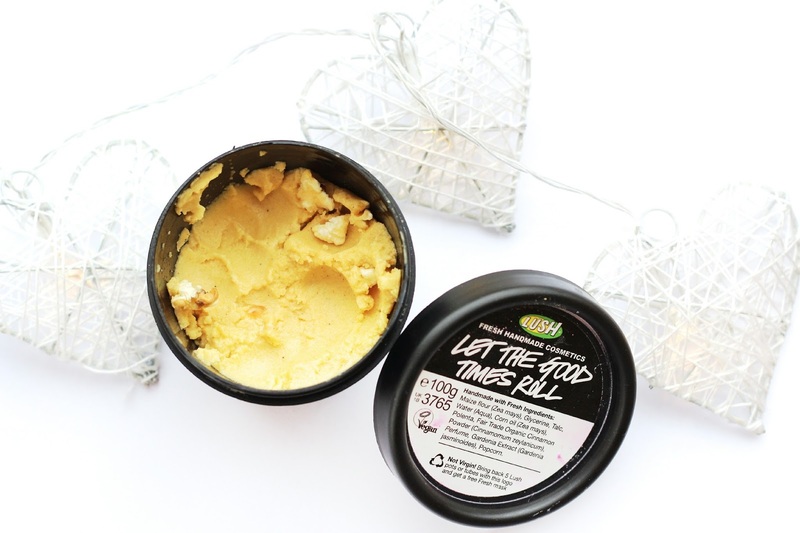 LUSH now feature little product video's, so I think it would be a great idea for you to check it out if you are interested in trying this product. I feel like I actually LOVE this product like real love... Just like Rose Jam I actually think about using this product throughout the day and when I get home it feels like such an amazing sweet treat. If your looking for a cleanser/exfoliator that will truly exfoliate and leave your skin feeling fresh, soothed and revived.. then this might just be for you. I would love to know your thoughts lovelies.. do you think you would like to give this a go? So glad I came across this post! I love the rose jam too! I can't wait to try let the good times roll too! It sounds amazing. Thanks for pointing me in the right direction! It's deffo worth the splurge! i've never tried this or rose jam! it sounds amazing! 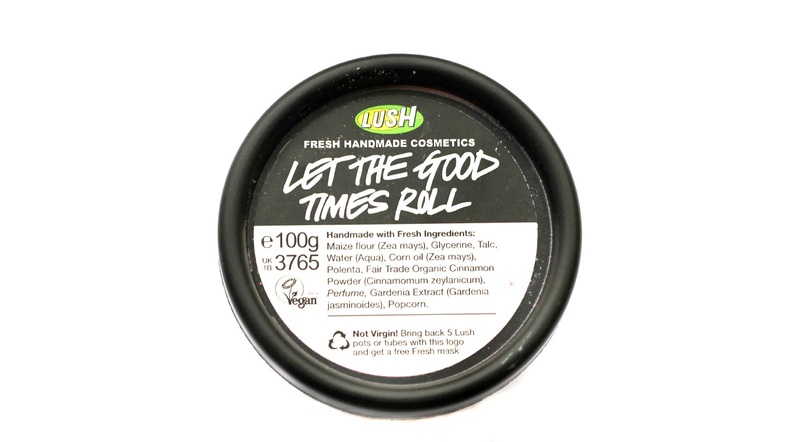 i think i may have to pick this up next time i'm in lush! Thanks for the comment lovely :) its worth a splurge!